It's 11° right now in Toronto. Are you kidding me? With the sun beaming down, I just enjoyed a warm walk. I can't believe this is January. Tomorrow, it might get even warmer. 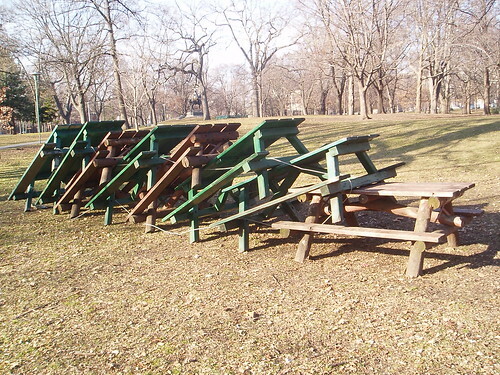 Here's a photo I just snapped of picnic tables in Queen's Park. It's springtime folks. Get out and enjoy it while it lasts.